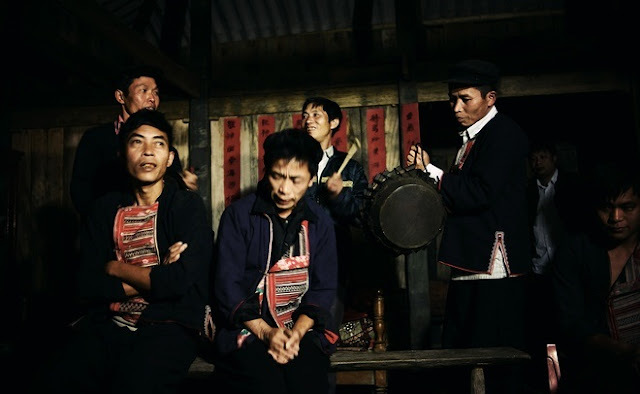 Fire - dance Festival, usually taken place in late spring, is the very unique culture of Red Dao people in Vietnam. Fire - dance Festival is usually taken place in late spring which is hoped to bring warmth and bumper harvest and to give prayers for the local prosperity, and the immune to evil spirits and illnesses. To prepare for the ceremony, the patriarchs and their descendants prepared food for ceremonial activities and dining. 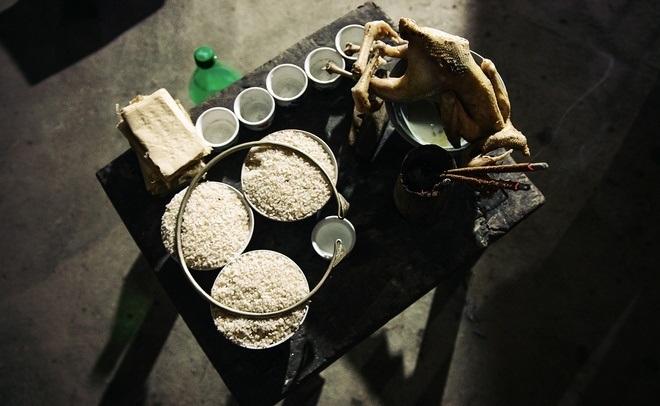 In the ritual of the Red Dao, the must - have items are rice, wine, boiled chicken, mineral water, carpentry white cloth, incenses, silver rings, paper money, lights or candles. 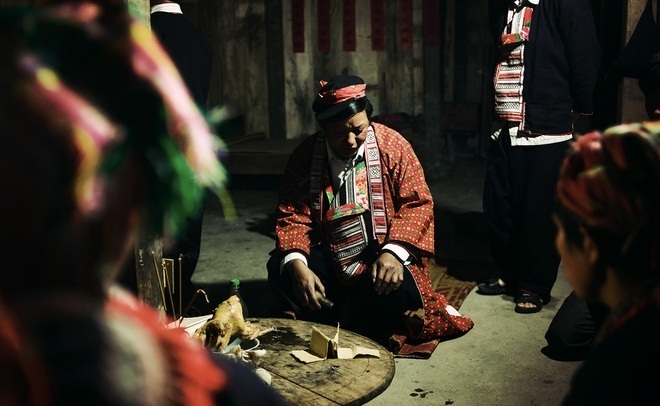 There are many shamans taking part in the ceremony, each has their own responsibility in their platform. This has contributed an elaborate ceremony with several stages and lasted for hours. The Sylph sacrificial ritual is taken up by prayers luck, peaceful life and happiness, good weather, good heath, and warding off evil spirits. 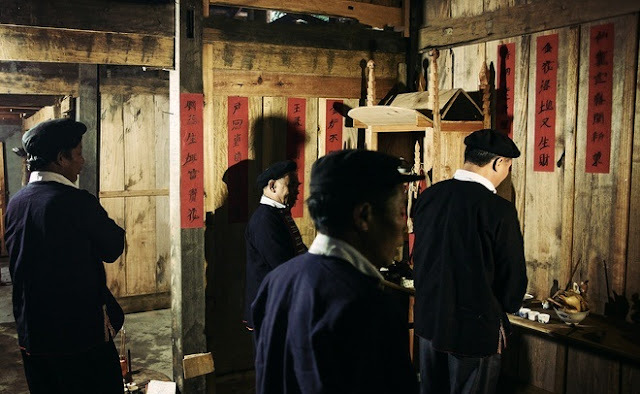 The rituals are conducted in the central compartment of the house on the ending day of the year. Meanwhile, they gather members of families, relatives and invite their close friends and also some local to attend the ceremony. The fire- dance ceremony is held on a large yard with a big pile of burning charcoal. 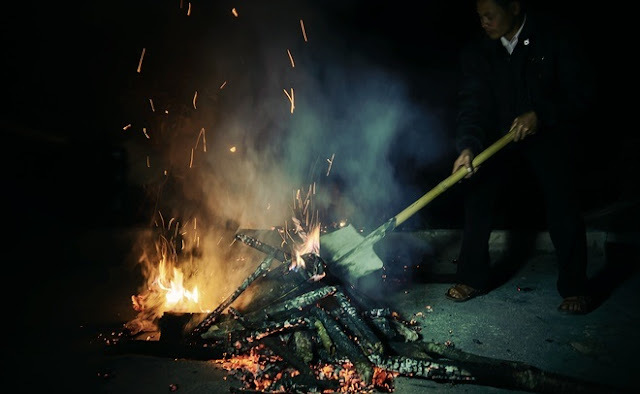 When the pile has become a heap of burning coals, the shaman will petition a yin and yang hexagram. If the Sylph was agreed, just the boys who attended the beginning of the ceremony,would be allowed to sit in front of the shaman to be blessed. The hauntingly sound of bamboo sticks, the deafening sound of gongs, the urging sound of drums that make the atmosphere more sacred. The boys are like being dictated by god, strongly sway. They hopped in front of the altar and then plunge into the pile of flaming coals. They is like being in their passion, dance with their bare feet on the heap of burning coals without burning sensation or fear. 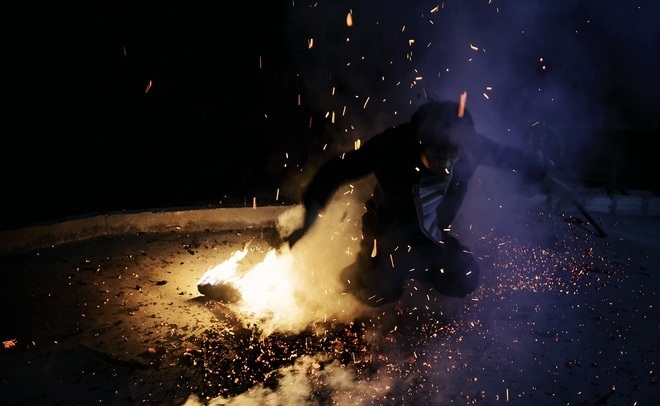 Not only dance, they also spill the charcoal pile by their hand what sometimes frighten viewers. 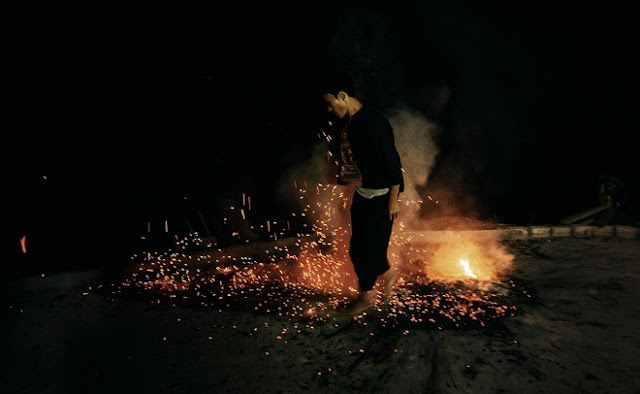 Each person normally dance on fire pile within 3-4 minutes, then continue hopping back to the altar before returning to normal. One can participate in dance festival several times, which shows his strength, ingenuity and agility. Fire dancing is only for men and these people always get the admiration from everyone who ever seen them. 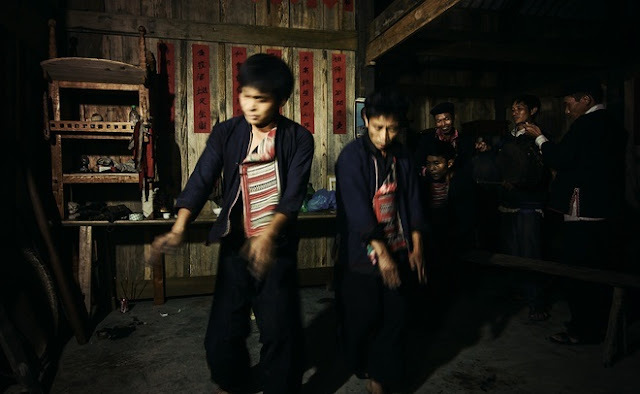 Fire- dance festival is not only a testament to the strength, the courage of the Red Dao boys but also their unique cultural activity bearing the characteristics of their wild and mysterious life which need to be studied and preserved. This festival is unique perhaps because of its mystery. 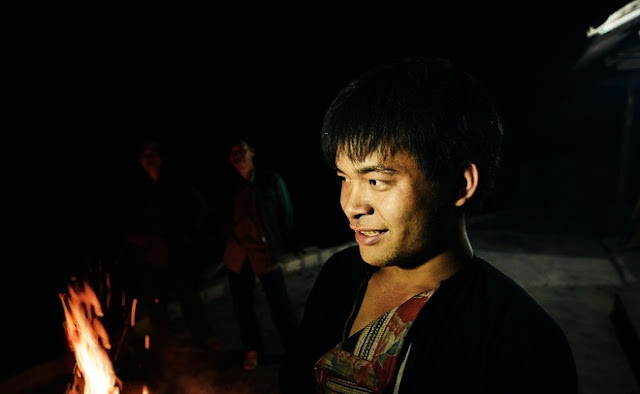 These youth who taken part in the ceremony have always said that the flaming dance after "being blessed" would have a supernatural power that lead them in. They also claimed that during the ritual, they are always awake and aware of everything. It still remains as an interesting mystery.